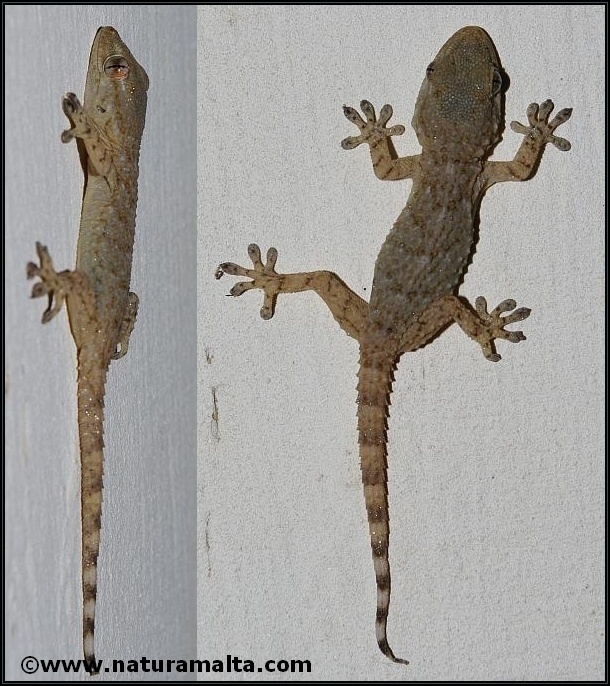 The common house gecko (Hemidactylus turcicus) is a common species of reptile which is encountered in many Maltese gardens. The species can often be seen 'sunbathing' but is also active at other times. It is a voracious predator feeding on insects and moths. It can hide in cracks (in walls) and is always in search of prey. This gecko is generally small rarely growing to around 12cm.